We are a German Shepherd breeder located in Southwestern Ontario, Canada on a 60 acre farm just outside the Village of Oil Springs, (The home of the first commercial oil well in North America). We are a German Shepherd kennel where our dogs are family raised. We have owned German Shepherds since 1985. We started to seriously train and compete in Obedience trials in 2002 and at that time also started to raise German Shepherd puppies. 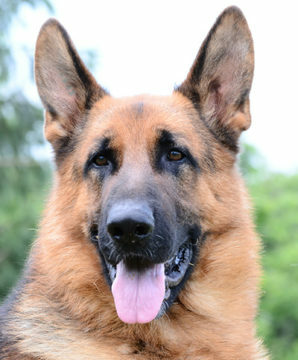 Our German Shepherd Kennel currently consists of both “World Class” West German showlines and Czech/DDR working lines. We love the West German line and Czech/DDR working lines of German Shepherd dogs because of their excellent dispositions, solid bone, straight backs, clear head, extremely intelligent, great genetics and rich colour. They make great family companion dogs while still able to be a working dog. We are committed to breeding excellent quality German Shepherd dogs focusing on temperament, intelligence, working ability and conformation. All breeding stock are OFA hip/elbows certified.